The credits scroll by in an instant, and unless you are looking for it, you might not see the name “Vincent Oppido” rushing over Kristin Chenoweth’s glittery gown at the end of February’s broadcast of the 85th Academy Awards. But there it was, and now it’s on Oppido’s resume, along with a host of other accomplishments achieved during and after his studies at George Mason University. Oppido, MM ’10, had no idea his name would be seen by 40 million American viewers. “That was a complete surprise,” he says in a phone call from his home in Los Angeles, where he works as a composer for film and television. Oppido returns to Mason’s Center for the Arts Concert Hall  for April 13’s American Festival Pops Orchestra’s Cinema Magic  program. Oppido’s former music professor, Maestro Anthony Maiello, conducts as Oppido leads a live film scoring. Oppido, who found himself working on Broadway arrangements with Tony Award-winning actor and singer Brian Stokes Mitchell as a graduate student in Mason’s School of Music , takes the successes that have come his way in stride. In fact, he believes it was luck that landed him not only in Hollywood, but also at Mason. 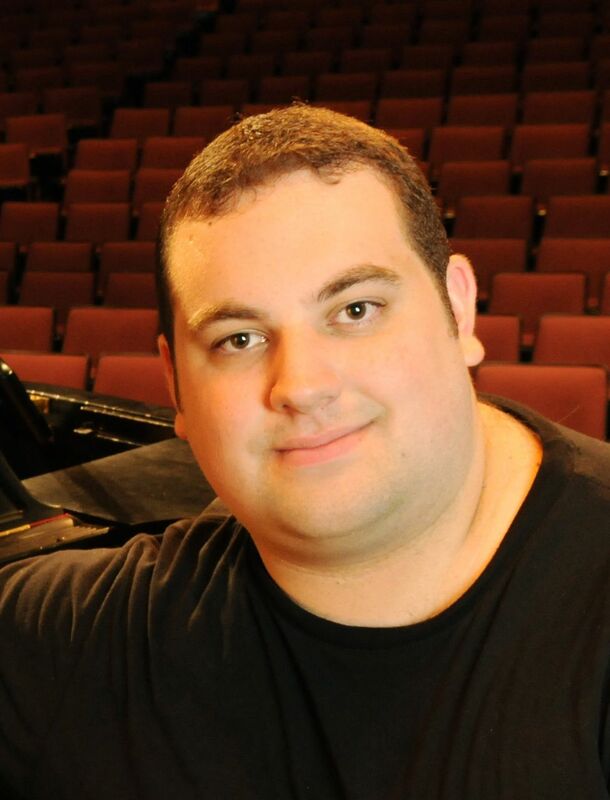 In Oppido’s case, things began lining up when the music directors at East Meadow High School in his home state of New York suggested he seek out Maiello for his college studies; Maiello was a seminal influence on them as young music students. “They said this is the guy you have to go and study with,” he says. As it happens, Maiello  is a University Professor in Mason’s School of Music. But being accepted by a mentor isn’t the same as seeking one out. In this case, however, it was a match Maiello was only too happy to make once the professor realized how talented and accomplished the young student already was. 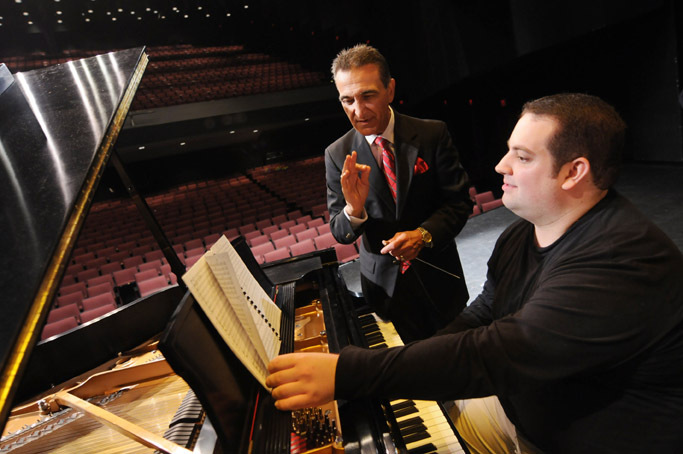 Mason alumnus Vincent Oppido with his mentor, Mason music professor Anthony Maiello. During his time at Mason, Oppido, under the guidance of Maiello, received commissions for new works, heard his music performed by various ensembles in a variety of venues, and became a published composer when he helped Maiello update his conducting textbook. By the way, that rapidly scrolling credit after the Oscars lists Oppido as a “copyist.” What might that be? To hear a selection of Oppido’s sample scores, see his website .